Learn how the world’s #1 CRM has insurance covered. See how you can leverage Salesforce for Insurance to easily engage with customers when they need you most. See how reps and agents can turn proactive alerts into new leads with one click, and access rich customer profiles that show claims, policies and life events. 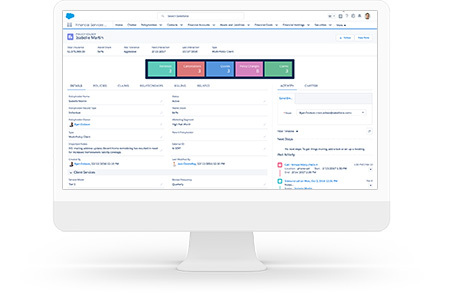 And with OmniChannel integration, you can delight customers with great customer service and insights gathered from all channels including social, email, web and phone — all integrated directly in Salesforce.